Rocky Comfort: 1 bed / 1 bath. Sleeps 4. It doesn’t take long to see where Rocky Comfort got its name from. Dug in and perched off a small rocky hillside, this cabin boasts a large covered deck that reminds you of playing in a tree house. 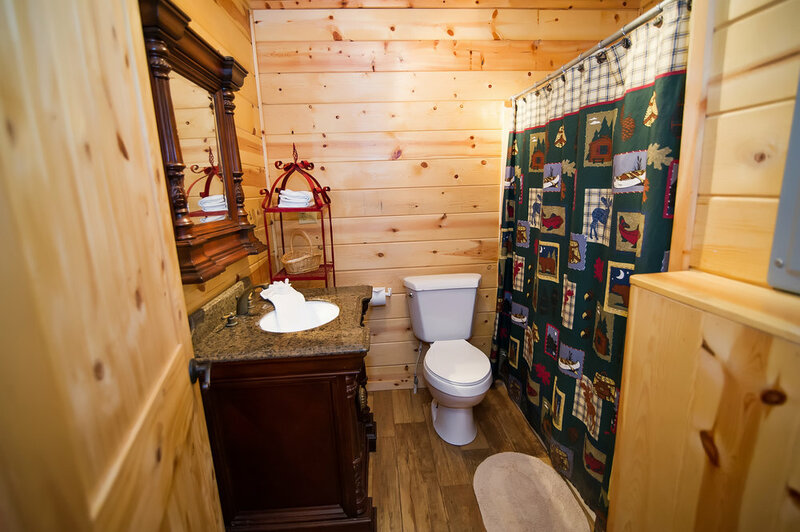 Inside you will find a comfortable one bedroom cabin with a queen bed and a full size pull out. A small ready to cook kitchen means you can grab some groceries and whip up your special dish, or take the night off and head up the road for dining and live music. 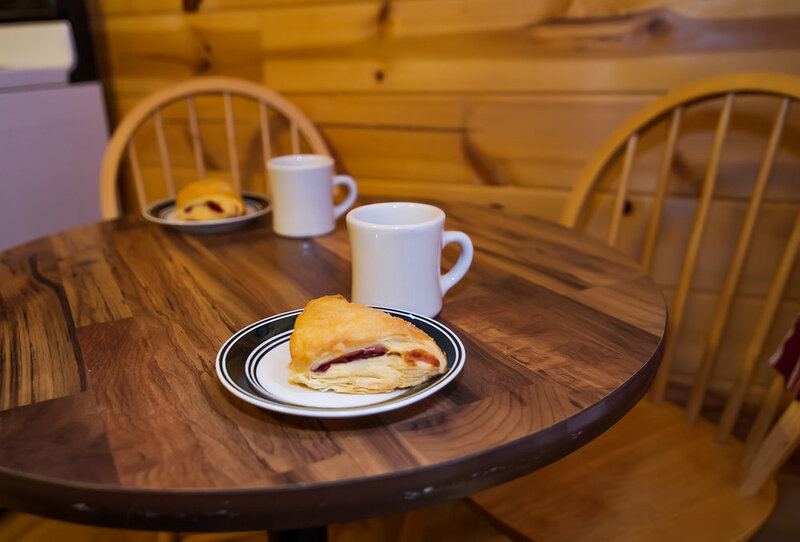 Enjoy grilling and eating dinner on the deck with the feeling of sitting high in the trees. 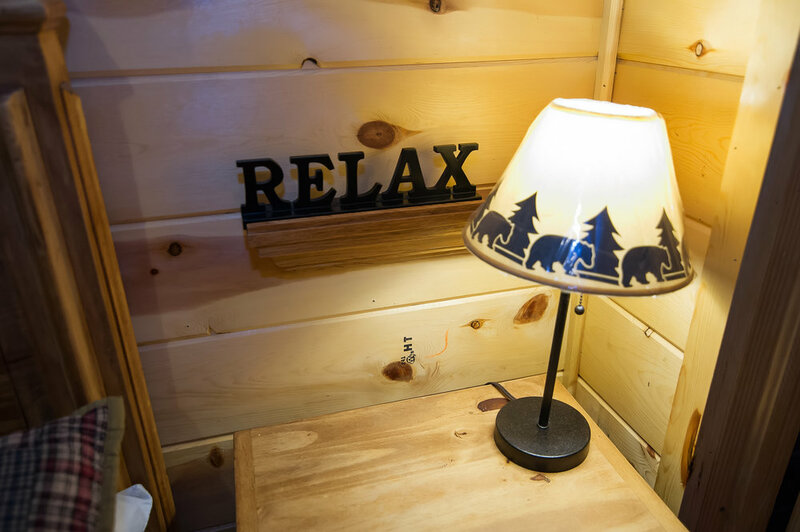 If you look down you can see the small seasonal creek and a fire pit waiting for you – grab those marshmallows, chocolates, and graham crackers and head on down! Hidden in the cool shadows of the deck is a large hot tub where you can soak away the evening and try to forget about Mondays and deadlines. 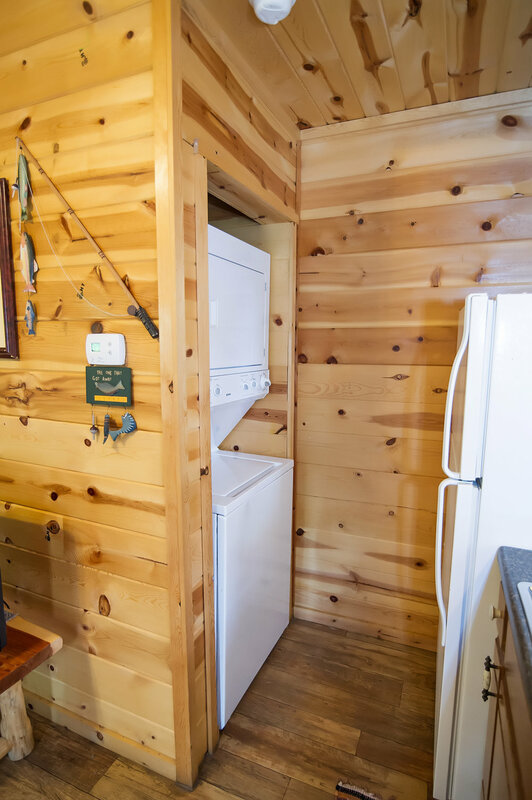 The cabin has a level, easy access parking area, but may not be large enough for some trailers. If you do not feel comfortable parking a trailer here, you are welcome to leave it at our office on a first come, first serve basis – space is limited.